The San Francisco Fire Department said new fire codes this year could help save lives. Fire Chief Joanne Hayes-White announced new rules on Wednesday that owners must comply with to keep renters safe. 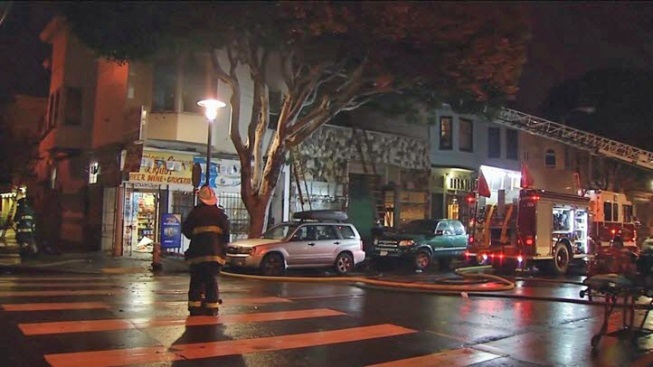 A series of apartment fires in the Mission District in recent years prompted the Board of Supervisors to pass the new fire codes. "There's overcrowding, so we need to work with agencies to make sure we're as safe as a city as we can be," Hayes-White said. Renters said they are glad the new rules will open communication with apartment owners. "I think it's a good idea," renter Daniel Smith said. Smith said he wonders whether smoke detector batteries have been changed in his apartment complex. He said he never discussed the concern with the owner. "It was a lease," Smith said. "You sign it and away you go." But now, not so fast. The fire department unveiled signs and forms that apartment owners now have to discuss with current and future tenants. The fire department said escape routes must be posted and unobstructed in new and old apartments. Owners also must conduct a pillow test where the smoke alarm is tested in the building. A smoke alarm tested in the building must be heard from the tenants' pillow to make sure the alarm is effective, according to the test.